A great size! 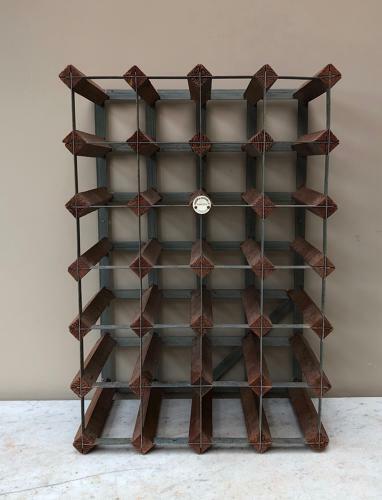 Perfect to put in a kitchen, Mid Century Wine Rack with the wonderful central stamp of FARROW & JACKSON LTD MAKERS LONDON. Very good condition...no worm or damage. Holes to wall hang or just freestand on a worktop. Can possibly post Parcel Force 48 for £25.